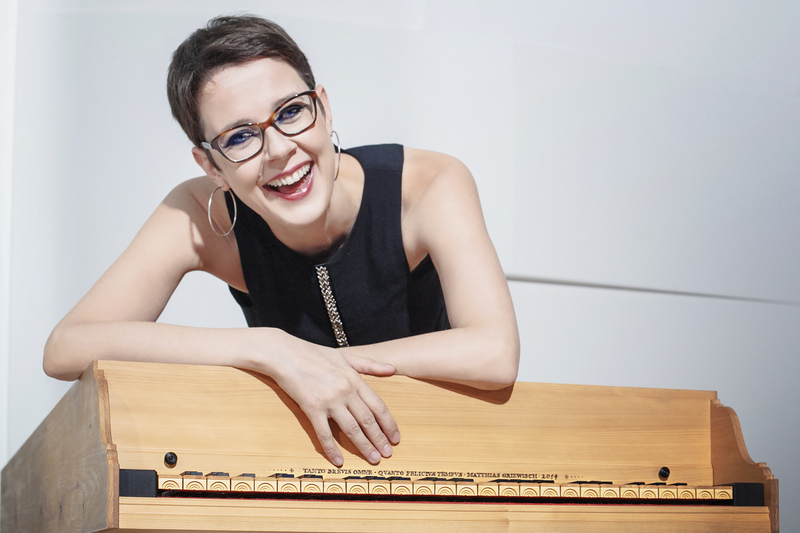 Enchanted by its sound, Cécile Mansuy chose the harpsichord as her first instrument at the age of five. Aged eleven, she attended a masterclass with Davitt Moroney and gave her first public performances on harpsichord; both experiences left a lasting impression. She subsequently studied in Toulouse with J. W. Jansen (harpsichord), M. Bouvard (organ) and L. Boulay, Y. Bouvard and F. Saint-Yves (basso continuo), achieving her diploma with distinction. Further training followed at the Schola Cantorum Basiliensis with J.-C- Zehnder & A. Marcon and at the Haute Ecole de Genève with A. Fedi. She studied improvisation with R. Lutz, E. Le Divellec and F. Eichelberger; harpsichord with B. Rannou, E. Joyé, N. Spieth, A. Zylberajch and M. Dévérité; and organ with A. Cea Galan, J. Boyer, M. Radulescu and M. Chapuis. In orchestra, opera and ensemble studies she received tuition from H. Niquet, L. Garcia Alarcon, B. Dickey, C. Toet, A. Rooley, E. Tubb and P. Pandolfo. She has been invited to play historical organs, like in Treviso and Parma (Italy), Sencelles (Spain), St Ursanne, Muri and Arlesheim Cathedral (Switzerland), and to perform in festivals such as Festival Jeunes Talents (Paris - Goldberg Variations), Pavia Barocca 2012, "YOUNG ARTITS IN CONCERT" in Davos, Ambronay Festival... She has given concerts with D. Grimal (Orchestre National de Chambre de Toulouse), W. Dongois (Le Moment baroque), S. Azzolini (Parnassi Musici), E. Bronzi (Orchestre de l’Accademia Mozart de Bologne), C. Banchini (Capella Concertata) and other distinguished artists. She holds the Diplôme d’Etat as a harpsichord tutor and is regularly invited to summer schools and conservatoires, to teach and to officiate on the panel for examinations and competitions, and as accompanist. She won 3rd prize at the ‘Paola Bernardi’ harpsichord competition in Bologna in 2009, and won 2nd prize and the audience prize at the ‘van Wassenaer’ competition in Amsterdam in 2011, where she performed in ensemble. Together with Francesco Saverio Pedrini she founded 'Le Capitali della Musica', a concert series in Zurich devoted to Italian music. She is a founding member of the ensemble Le je-ne-Scay-quoy which is particularly dedicated to the chamber music repertoire with obbligato harpsichord. In February 2014 she will release her first solo CD with TYXart records, entitled "Capriccio sopra il genio del Bach giovanissimo", and featuring music from the young J.S. Bach (harpsichord & organ).